Acidic Ramming Mass is used in the lining of induction furnaces. Quality of Acidic Ramming mass is directly related to the heating performance of the furnaces. Better quality of lining results in the smooth working of furnaces, optimum output and better metallurgical control. It is manufactured under strict supervision of qualified & experienced work force. Proper check is exercised on magnetic process to assure iron free material and to assure proper composition of granules according to furnace capacity.The granulation of the mix are optimized keeping in view the furnace make and capacity, thus giving maximum and best results. It is characterized by thermal stability, corrosion resistance and wear resistance because it contains less binders, fire clay and moisture compared to plastic refractories. We are the manufacturer of Ramming Mass to give material as per the furnace capacity and make of the user. The Ramming Mass of the mix is optimized keeping in view the furnace make and capacity, thus giving maximum and best results. 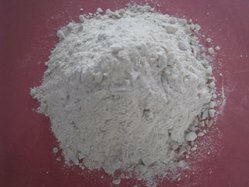 Ramming mix is characterized by thermal stability, corrosion resistance and wear resistance because it contains fewer binders, fire clay, and moisture compared to plastic refractories. Recommended for lining the iron melting coreless induction furnace. Premixed with a binder to customer's specifications. Maximum recommended use limit-3274°F(1700°C). Various grades of Ramming Mass Keeping in view the different needs, different types of scraps, end products, and several other factors. 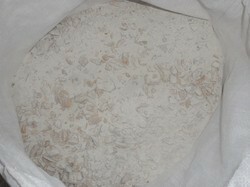 Normal: This is the widely used grade of Silica Ramming Mix. 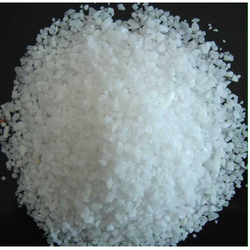 Silica content here is in the range of 97.50 % to 99 %. This is the cheapest grade available. But performance is the best in its category. Normal Premix: This is the pre-mixed version. 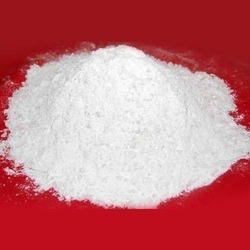 We mix Boric Acid as per customer requirements, although most common in India is 1.1 %. The lining is the important part of induction furnace, Furnace performance is directly related to the Lining performance. Well – stabilized lining results In the smooth working of the furnace, optimum output, and Better metallurgical control. The lining practice best Suited to particular foundry will depend upon the furnace Capacity and design, metal being melted and output etc. Silica Ramming Mass is used in the lining of induction furnaces. Quality of Silica Ramming Mass is directly related to the heating performance of the furnaces. Better quality of lining results in the smooth working of furnaces, optimum output, and better metallurgical control. A Proper check is exercised on the magnetic process to assure iron free Silica Ramming Mass and to assure proper composition of granules according to furnace capacity. Furnace Specific Benefits: We are the only manufacturer to give material as per the furnace capacity and make of the user. The granulation of the mix is optimized keeping in view the furnace make and capacity, thus giving maximum and best results. 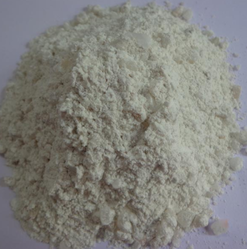 Ramming mix is characterized by thermal stability, corrosion resistance and wear resistance because it contains fewer binders, fire clay, and moisture compared to plastic refractories. Recommended for lining the iron melting coreless induction furnace. Premixed with the binder to customer's specifications. Being one of the biggest Manufacturers, we offer the best quality Grades of Premixed Ramming Mass to our customers. These products are produced using high-grade inputs that are sourced from authorized merchants of the business, we offer these products according to the specifications of the customers. Moreover, these products are available at industry competitive costs. At the same time we make sure that these products are delivered within a given time period. Proper mixing of binder leading to the optimum mixture. Less wastage, as mixing is done by machines. Only use imported Boric Acid is used to give best results. Consistent and longer lining and patching life. One less item in inventory. 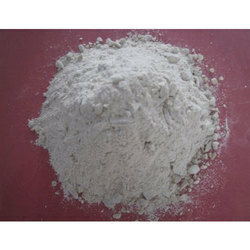 We are a leading manufacturer of Acidic Ramming Mass to our customers. The offered mass is processed using high-quality chemical compounds and progressive technology in line with industry quality standards. Owing to its varied features, this mass is widely demanded in different industries. Moreover, customers can avail this mass from us at market leading prices. We are a leading manufacturer of Packed Ramming Mass to our customers. All the various materials from our product portfolio are available in the following packaging: Break bulk loose. 50 kg or 25 kg plastic /PP bags. 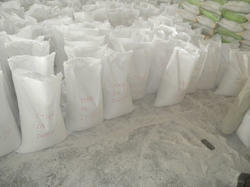 Big Jumbo bags of 1.20 MT to 1.50 MT. Paper bags can also be arranged at an additional cost. This material is stuffed in 20" heavy duty containers, accommodating upto 27 MT of material. Palletisation and fumigation is also available. Packagings are subject to normal aging and products in bags should not be stored longer than 6 months. Information concerning waste management etc. can be found in our safety data sheets. The packaging is selected keeping view the specific needs of the user as well as material. For specific requirements of various chemicals, moisture proof export packing is provided. We are a well-known entity, engaged in offering superior quality Acidic Ramming Mass. This product is used for for lining purpose which is a vital part of lining performance. The offered product is processed under the supervision of experienced professionals using the best quality material and high-end technology. Also, we make sure that offered product is checked on diverse quality parameters. We provide this product at industry leading prices to the clients. 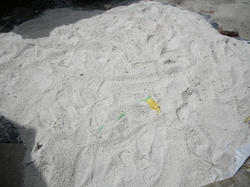 We are engaged in the manufacturing and exporting of a wide range of Quartz Ramming Mass in the international market. Our ramming mass is highly acclaimed by the national and international clients, owing to its better thermal stability and quality. These Ramming Mass are superior quality tested and are offered at highly competitive prices. 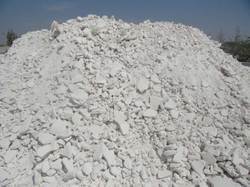 Customers can avail from us a qualitative range of Magnesite Ramming Mass. Offered ramming mass is manufactured by our expert professionals using the excellent quality raw material in compliance with the industry laid standards & norms. These ramming mass are highly suitable for the induction furnaces. Being one of the biggest Manufacturers and exporters, we offer the best quality Grades of Neutral Ramming Mass to our customers. These products are produced using high-grade inputs that are sourced from authorized merchants of the business, we offer these products according to the specifications of the customers. Moreover, these products are available at industry competitive costs. At the same time we make sure that these products are delivered withing a given time period. Alumina and Magnesite based ramming mass. Proper mixing of binder leading to optimum mixture.